Arotrade is forex and CFD broker, offering a good variety of currency pairs and CFDs on commodities, indices, stocks and even crypto coins with a choice of five account types, on proprietary web based platform. The crypto CFDs include popular coins like Bitcoin, Ethereum, Ripple, Litecoin and Dash. As tested with a demo account the benchmark EURUSD spread was fixed at 3 pips, which is basically twice higher than what traders usually consider acceptable with a standard account. Arotrade allows leverage of up to 1:200 with all account types. The minimum deposit requirement is 250 USD for the starting Basic Account and goes up to 25 000 USD with the Platinum Account. Arotrade is a trading name of SPEED SOLUTIONS Ltd. – a company based in Belize and regulated by the local International Financial Services Commission (IFSC). However, all client transactions are being processed by SPEED PA LTD – another company, based in Bulgaria. Although the IFSC is considered more reliable than phony regulators such as the financial supervision commissions on Vanuatu or the Seychelles, Belize regulatory regime is quite liberal and is still far form the standards set by well respected financial watchdogs like the Financial Conduct Authority (FCA) in the UK, the Australian Securities and Investments Commission (ASIC) or the Cyprus Securities and Exchange Commission (CySEC). Among other requirements FCA and CySEC regulated brokers have to participate in clients compensation schemes, under which traders can receive part of their capital back, in the event their broker is unable to pay. With FCA brokers that sum can reach 50 000 GBP, while with CySEC brokers the insured amount is up to 20 000 EUR. Arotrade accepts a variety of payment methods including e-wallets like PaySafe, Neteller, Skrill, WebMoney, QIWI, Yandex and AstroPay, bank wire and major credit and debit cards like VISA and MasterCard. As we mentioned the minimum deposit requirement is 250 USD, but rises up to 25 000 USD with the premium accounts. Have in mind that Arotrade charges 3,5% service fee on all withdrawals. You will happen to watch a video add on one of those robo scam websites like Bitcoin Revolution or Bitcoin Method, that will tell you how easily you can make a pile of cash, if only register and invest with an innovative trading app or software. After leaving your e-mail and phone, you will be transferred to the page of a unregulated, offshore broker, where you will be invited to deposit just 250 USD and start making money right away. Your first trades might prove to be quite successful. That, however, will happen not necessarily because you have made great trading decisions, but simply because your account will be manipulated. And then you will receive a call from a “senior account manager”, who will explain, that if you want to make some real cash, you simply have to invest more – what about 10 000 USD for a start. Chances are you will invest those money as well. In the beginning everything will look fine and you may even continue to “profit”, until the day you decide to withdraw some of your cash. It will suddenly turn out you can not. Withdraw conditions will be linked to some minimum trade volume requirement and most probably to the welcoming bonus you have accepted, when you opened your trading account in the first place. Of course, it could be something else, but the bottom line is you will not be able to withdraw anything. Be aware that at some point the scammers will try to trick you to send them copies of your ID and a proof of address (your latest electricity bill for example). They will say they need those documents, because of the anti-money laundering regulations. The truth however is, if you send them personal information voluntarily, they will have a much stronger case, when you file for a charge back with your credit card company. Also, do not be fooled to install Team Viewer under any circumstances. Scammers may try to trick you to do that under the pretext to help you with the installation of some software or with the funding of your account. If you install the program, you may be sure bad guys will get to your credit card number and online banking password and will try to steal money form your bank account directly. Finally, if you have fallen victim to a scam, immediately file for a charge back with your credit card company. Note, you will be able to do that only within the first six months after you have made the deposit. If by any chance you have given away your credit card number or banking details, or if you have agreed to install Team Viewer, immediately block your credit card, delete Team Viewer and change the password for your online banking service. In the unfortunate event you have lost money to scammers, do not loose even more by seeking the service of the so called recovery agencies. You will simply be asked to make an upfront payment and basically that will be the end of the story. 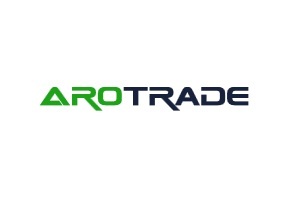 TagsArotradeArotrade depositArotrade legitArotrade reviewArotrade scamArotrade withdrawSPEED PA LTDSPEED SOLUTIONS Ltd. I lost alot of money trading via arotrade. My advise to you – Withdraw/leave! as soon as you can. Do not listen to any ‘potential trade opportunities’ advice. ZAP, should i do if sent those document to verify? Should i block my card and report to the police. I will left once they verified my account. Because as per them they said have to verified account in order to close the account? Is it true? For those who have been scammed,please lodge a police complaint with your country police.They will liase with Interpol and do the needful.I have lodged a report after loosing 6000USD in a matter of few days.The investigation is still going for two months now.Please lodge a report and pass on the message to all the victims. Bro Aravind M, are you from Malaysia? i closed my trade and still have usd 2100, now i want to withdrawal it, they said its will reflecks to my bank account in 5 business days with wire transfer, still wait and today is 8 business days already..
bro hisam did u get ur money back? Hi ken, are you from Malaysia and has made an investment with AroTrade? Hi, Hisam. How long it takes to approve the withdraw? Thanks for your advice good people. Me I was contacted by Mr Sean from that arotrade company for 4 months now saying that I must deposit 250 USD and i Will get a bonus of 250. I was going to deposit it today but I thank God for getting this advice. Arotrade trading platform is too transparent, those people in Arotrade know what you doing and they can manipulate your trading platform system. In other word say that you investment for ‘buy’ on that day should gain profit after the the market value is above your open rate but due to some reason you still not gain any profit until your final you lost your money. First thing you should know, when you have opened your trading account they will call you asking you immediate to trade and get some money even though you refuse bcoz you need more time to learn about online trading and you like to go for demo account. I am telling you that, they will do by force asking you to do trading directly and earn money quickly and saying that they will guide you time to time. In online trading you yourself will have to do all the work and give full commitment on what you have trade. This is truly SCAM. I hv just been cheated of $54k usd. They keep asking unto to up n when they ask me to buy in any trade, it will just keep going down!! N they would say its market correction. Must hold out. N the stupid account manager Kristy Leroy keeps asking me to top up n when I refused she would call n start shouting at me over the phone that I am not listening to her! She caused me a lot of losses!! This is really very upsetting! I lost so much money n still they date to scold me?!??! What nonsense??? N I’m trying to withdraw my last bit of whatever $ I hv left and they are making things so difficult! Says need account manager to verbal approve my withdrawal?!!? Who r they to decide if I can take out my money or not?!? It’s my money!! I want to bring them up to the Bulgaria authorities. Anyone can advise how we can get them? I know my money is gone! How stupid of me to trust them? But I want justice done n I don’t wish to see more n more people being cheated!!! How can this company do this?!??!! Dear Faith – I am so sorry to hear your story – there are so many of scams going around – but this one takes the cherry on the cake. They are a bunch of cheaters and I have had the same experience with them – until I send Paul Trumen to hell and back yesterday. May they all make a turn there very quickly!!! I too received call from an unknown +504 number upon creating an account with Arotrade. I told them i want to explore what Arotrade is all bout first. They tried to convince me to provide credit card details for $250 investment. That’s when i felt something not right as they are asking for immediate investment. I cut the call off. phew! I just signed today and from the conversation i had with 2 different people i knew it was a big mistake this is Fraud in big F. Had like 8 mails asking me scan and send my ID,credit card and bank statement of my home or electricity bill …. this is big time fraud. I went to their site try to withdraw the amount i just put 1h before and it show account not valid. Anyone know how get his money back. They will take your money! Don’t get fooled by “trading opportunities”. You deposit – trade – loose your money – guess where your money stay: with AroTrade. They are a non regulated company. No money guaranteed. Did you get your money back from arotrade. i am from Singapore and work in financial services. this company is no-where regulated. they have an offshore license which means nothing. total scam. I was alsom scammed up to the point of platinum and I think I got $645 back of $25000 . How can I retrieve any of the money. This took place when I refused to deposit more money to move to the black account, I was directed to a junior trader and he made me lose the remaining $17000 I had left after margin calls which first the senior trader suggested I do and as soon as she put me through to the junior trader he made me close positions which caused the margin calls after which I deposited another $3000, but all was lost by the next morning and I was left with the $645. I made a €250 deposit last week and now I’m reading this reviews. I don’t care about the €250 but do you recommend to just stop with arotrade and ignore all the calls and e-mails? I already blocked my credit card account and hope they don’t try to charge me anymore. I didn’t send them the varification documents, so what happend next? What should I do? Thanx for any advices. I just quit by email and they gave me my deposit of €250 back. Indeed they charged €30 due to administration fee which is actually not okay but in order to all those problems to the deletion of my account totaly okay and I’m happy that the madness has stopped. For your advice, I loaded my deposit by creditcard what was probably the reason for an easy refund without verification of my person. Good luck guys! How you cancel and get back the deposit? Just send them the email that you would like to cancel the trading and they responded nicely or how? please advice. I also registered with Arotrade,they kept calling me to deposit $250 and I refused. I asked them if they have an office in SA. Please guys to avoid being scammed – Verify the broker first, request for their license, with that license number please check with their provider to see if they are indeed registered. If you are in South Africa, please trade with the local brokers- at least they have a fixed address- where you can go to their offices and toyitoyi and report to the police. You will surely get your money back. I can recommend the good one in SA if you contact me offline. Thanks God… They were just talking to me now. But the lady was insisting to get my credit card details, I gave her many excuses like I will talk to my husbands and friends, I need to read more, I need to think about it, but she was really insisting to have the credit number before any thing. Here, I felt there is something wrong. Was about to make the bad decision…thank God, i read this first. You will never see your money again with AroTrade. I have lost $5,000, put a lawyer to do an investigation, we found out the company is registered somewhere offshore. Scam. Scroll down to the bottom of the page, you will see their details, you then can report!!!!! Big mafia!